Her name was Sarena Moore, and her service dog Bullet’s name is now tragically ironic. 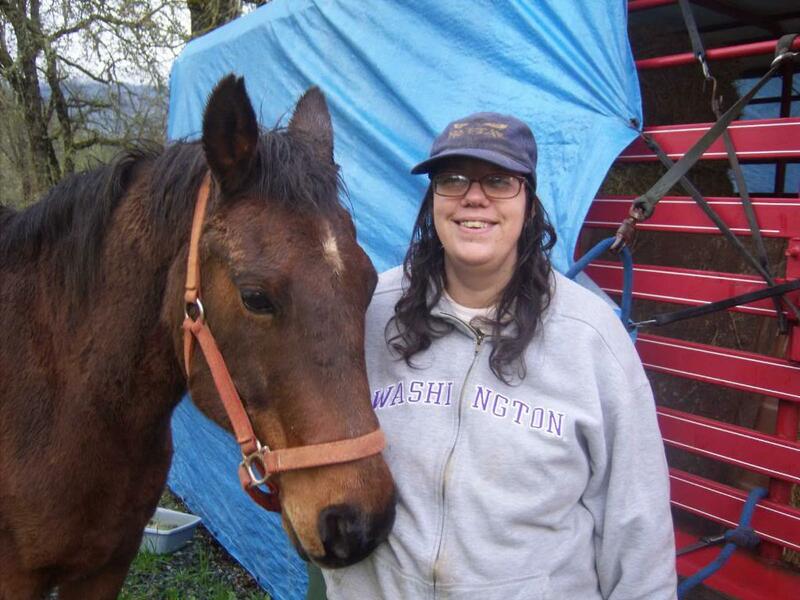 She was studying business at Umpqua Community College in Roseburg, Oregon, gaining skills to pursue her dream of starting a therapeutic horse riding ranch for children with disabilities. She herself was disabled and used a wheelchair. Sarena died October 1, 2015 at the age of 44, along with eight other people, in one of the many mass shootings that have been plaguing our nation. Witnesses say that the gunman shot her mercilessly as she struggled to follow his demands. Bullet the service dog survived. 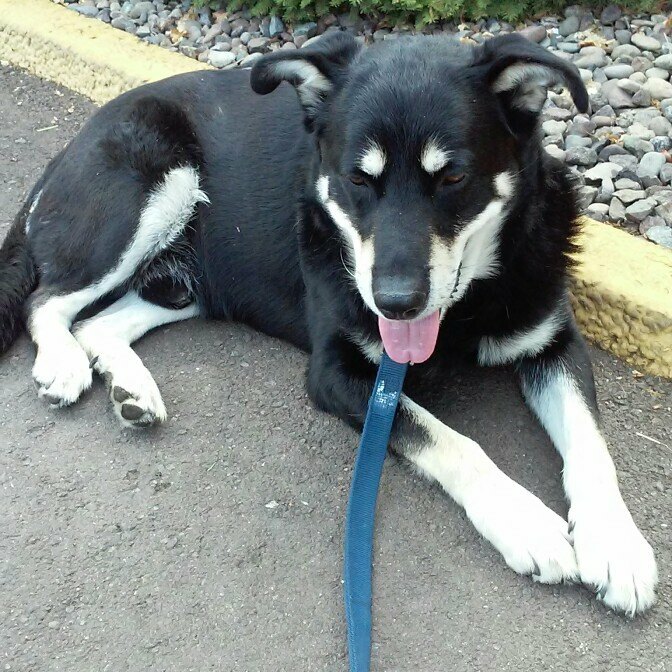 Bullet the service dog survived the mass shooting at Umpqua Community College, but his owner Sarena Moore was killed. I never knew Sarena Moore, but when I heard her story, it brought me to tears. I wish I could have known her. If we had met, we surely would’ve been friends, as we had a lot in common. We both trained our own service dogs, a path that requires dedication and isn’t for the faint of heart. We both had a dream of starting an organization to train therapy and service animals. And finally, sadly, we were both targeted by cowardly gunmen with no respect or regard for human life. I’m lucky to be alive, but Sarena is gone, and with her death I feel a responsibility to speak out. Nobody wants to talk about guns and gun control. It’s such a divisive topic in our culture, and certain groups say it’s “bad timing” to discuss guns after a mass shooting. I say there’s no more appropriate time. Many people are afraid to voice their opinions, worried about alienating friends or family who hold a different view. I’m not. Once you’ve felt the cold metal of one of those controversial guns pressed against your skin, the idea of discussing gun violence just isn’t frightening. What’s scary is our continued refusal to discuss it in a calm and thoughtful manner, and to share how our lives have been affected, negatively and positively, by guns. The mass shooting that killed Sarena Moore is one of the gun violence stories that made the national news. Mine is the much more ordinary life-wrecking story of a gun in the hands of someone who should never have been allowed to have it. On November 28, 2014, I was attacked in my home by a masked intruder who had the code to my front door. He put a gun to my neck, and threw me out of my wheelchair. I lay helplessly on the floor as he took my loyal caregiver of five years to the back bedroom. He threatened and terrified her, but when he turned away to begin stealing items, she courageously escaped and called the police from a neighbor’s home. A few days later, my life was further torn apart when I received death threats and extortion demands from the attackers. I was forced to flee my home and move out-of-state. My life as I knew it was over. In some respects, I was extremely lucky. I’m alive, I wasn’t seriously injured, or even shot. But I easily could’ve been. The attacker cocked the gun while it was against my neck. My caregiver, who had some experience with proper gun handling, said he wasn’t holding the gun properly and it could’ve easily gone off even by accident. There is more, which I can’t share at this point because the case is still pending in court. Most significantly, he used the gun as a tool to terrorize us, to make me fear for my life and believe his further threats. It took about two months for the suspect to be arrested. Herbert Cruz, a convicted felon, was the boyfriend of Jennifer Martinez Alarcon, a caregiver I had fired three days before due to poor work performance. Although she was clearly in on the robbery and threats, she has not as of this writing been charged in my case. However, they are both charged with over a dozen burglaries of people’s homes while they were attending their loved ones’ funerals. These are the types of scum we allow to have guns in our country. I say allow even though he was a felon and is charged with illegal possession of a firearm, because there’s so much we could do to keep guns out of the hands of criminals, but don’t. If you’re expecting this to turn into a ban all guns screed, you’d be wrong. In the days after the robbery, two different friends with legal permitted handguns stayed at my house. I was grateful to have them there, and grateful that they were able to legally own a weapon with which to protect me and themselves. They’re not the only responsible gun owners I know. Since I recently adopted an English setter, I have several online acquaintances who hunt birds with their dogs. It’s not something I personally would do, but there are many people in our country who hunt for food. To me it’s more honest than those of us who go to the grocery store and don’t have to think about the cycle of nature and that an animal died for our dinner. Again, these gun owners are not dangerous, they are responsible people and should be able to have a gun for hunting. But there is a line to be drawn. There are common sense changes we can make to reduce gun deaths while allowing guns for hunting and personal protection. It’s currently easier to get a license to own a gun than it is to get a license to drive a car. There’s no required training, no mental health screening. There are numerous holes in background check laws. I believe that these loopholes need to be removed and a safe gun ownership program instituted. To receive their first gun license, applicants should be required to get a form signed by their doctor stating that they are physically and mentally fit. There should be a mandatory training course and gun safety exam. Instructors could receive training in spotting signs of potential terrorists and mentally ill individuals with violent intent. The class could be administered by private organizations, even the NRA, as long as they adhere to a required curriculum. Teaching people about guns and how to use them responsibly would undoubtedly reduce accidental shootings, impulse shootings, and cause many potential mass shooters to reveal red flags to their doctor, instructor, and classmates. There needs to be a reporting system for people who make violent threats, and reports need to be promptly investigated. Internet threats need to be taken seriously. The robbery I suffered was a nightmare, but the death threats they sent me afterwards were just as devastating – and I knew they had the means to carry them out. Many of the mass shooters made threats or revealed their plans online. Some threats will turn out to be false, but those individuals should also be arrested. Threatening people online is never acceptable, even if you don’t intend to back it up. Most of the mass shooters have used weapons that were legally registered to them or a family member. Lending one’s weapon to someone who is not licensed and authorized for that specific gun should carry penalties, including loss of the gun license. Gun owners should be held criminally and civilly liable for injuries as a result of crimes committed with a weapon that is knowingly loaned to an unlicensed person, or not reported stolen. We should require that gun owners store their weapons in a fingerprint-locked safe or case. Eventually, we should develop ways to lock guns themselves from being fired by an unauthorized person. Many of the guns used in other violent incidents, including the robbery I went through, were obtained illegally. They all originated somewhere. We’ve all watched the TV shows where the intrepid CSI tries to recover the serial number that’s been filed off. It’s 2015, and we haven’t thought of a more permanent way to identify weapons? There should be some type of code embedded within the metal of the gun, or stamped in multiple places where it couldn’t be removed without making the gun unusable. In the future with improved batteries, GPS could be an option. Sure, such measures would add to the cost of weapons, but you can’t put a price on human life. The criminals will find a way around this, you say. They’ll hire hackers, they’ll 3-D print guns, etc. Undoubtedly, some of them will. But that’s not an excuse to do nothing. Everything that makes concealing the origin and ownership of guns more difficult makes life harder for criminals, and it becomes less likely that they’ll use guns. We can also increase the penalties for illegal gun possession. We could reduce gun violence significantly by decriminalizing drugs and freeing up space in our jails and prisons for violent offenders. It disturbs me that the man who ruined my life and preyed on people whose loved ones had just died will probably do less prison time than many nonviolent drug offenders. We must stop jailing mentally ill people for petty crimes, most of which amount to “surviving while homeless,” and invest in treatment programs. People always try to blame gun violence on mental illness , but the vast majority of seriously mentally ill people aren’t a danger to anyone but themselves, and the majority of violent criminals aren’t mentally ill. They’re generally addicted to drugs, impulsive, and/or desperate. The worst ones are evil and heartless. Very few have severe mental illnesses such as schizophrenia. Those rare mentally ill people with violent impulses would be much easier to identify and help if we had comprehensive mental health care. We need to stop blaming innocent people, who are already stigmatized and struggling, for the actions of angry and evil individuals. We also need to have a realistic conversation about the kind of guns people can own. Rifles are good for hunting, sport target shooting and self protection. Handguns are good for protecting oneself and one’s home. However, beyond that, justifying wide availability of other types of guns becomes questionable. Some gun collectors would like to own machine guns. Too frigging bad. Any gun that is designed to kill a large number of people in a short period of time should not be allowed in private homes or on the streets. That said, although it is repulsive to me, I understand that some gun enthusiasts would like to use these weapons for target shooting. I believe it would be possible to allow select and highly screened individuals to operate shooting ranges where people with gun licenses could use high-powered weapons within a secure facility. These facilities would be required to have extensive security measures and carry insurance to compensate any victims if weapons are stolen. All of these rules will just penalize law-abiding gun owners, you say. I argue that nobody is being penalized. They’re just being screened, and trained to make sure that the extremely dangerous devices they want to own won’t kill anyone. Arming all citizens to the teeth isn’t going to solve anything. No matter how much I want to, I can’t fire a gun. I can’t even safely wield pepper spray. I don’t have the hand coordination. I’m a sitting duck if someone with a gun gets into my house or confronts me at the mall. So are elderly people. So are children, as Sandy Hook brutally illustrated. And no, service dogs can’t protect their owners from a threat of this magnitude. They are not police dogs. 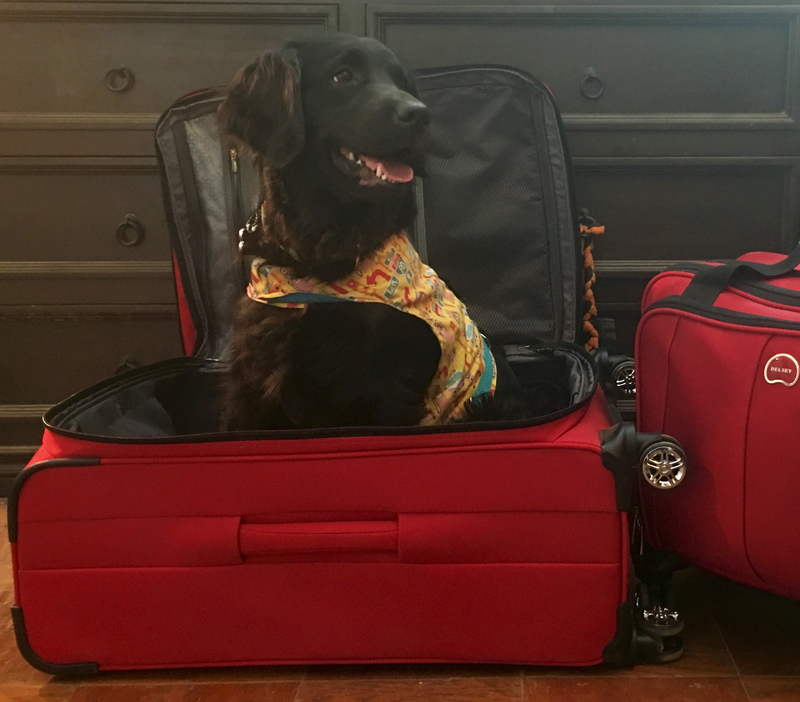 A properly raised and trained service dog is non-aggressive. They may put themselves between their owner and a threat, and they will certainly try to get help or comfort their injured owner (mine did) but a dog without specialized protection training is no match for a man with a gun. I feel thankful every day that none of my dogs were shot in the robbery. If Bullet had attacked the gunman in Oregon, he would have been killed as viciously as his mom Sarena Moore, and all the other victims. Guns don’t kill people. People who shouldn’t have guns kill people. If making sure that people who shouldn’t have guns don’t get them makes it a bit more complicated for people who should have guns to get them, that’s just too damn bad. Those who want guns for a legitimate purpose should understand. They should look at the scenes of dead elementary school children, high schoolers shooting their classmates, and the thousands of other innocent lives cut short mostly by angry young men with powerful weapons, and see that this has to stop. Then they should reconsider complaining about how they can’t get any gun they want exactly when they want it. I would love to have the inconvenience of stricter gun laws as my worst problem. Instead, I had a gun pressed against my neck by an angry man who took what I struggled my whole life to build. He only stole a few hundred dollars worth of stuff, but he destroyed my life. Forced me to move and sell my house, wrecking me financially. Took me away from my friends and to a place where I didn’t really want to live, but chose for safety and support. Gave me PTSD. And as I said before, I’m one of the lucky ones. I’m not dead or maimed for life. I’m not a parent who had to bury their first-grader. I’m not a man who clings to his fiancee’s service dog Bullet because a piece of human excrement put a bullet in the woman they loved. 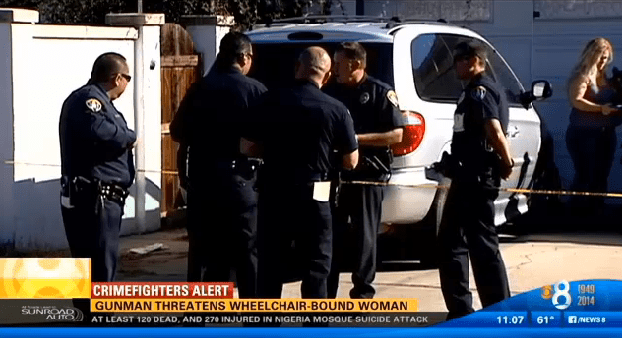 A woman in a wheelchair, who couldn’t protect herself. Sarena Moore is gone, and so is the good she could’ve done in the world. How many children with disabilities will never get to ride a horse because she isn’t here to start the program she dreamed of? 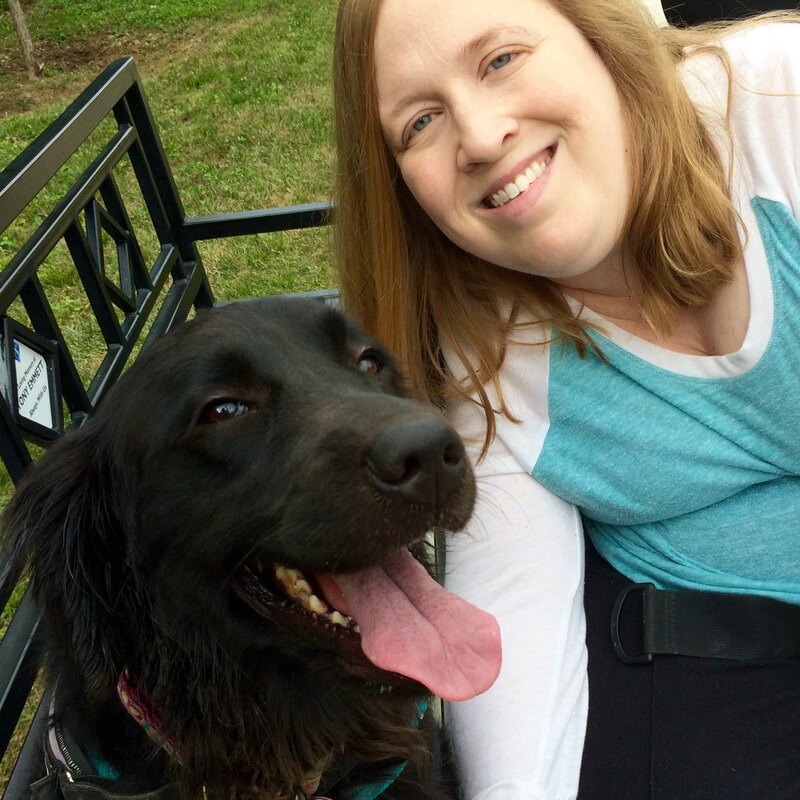 How many people with disabilities will struggle to train their own service dogs without her advice and guidance? The true cost of gun violence is the devastation of families, friends, and most of all the lost potential of those who were killed while trying to make the world a better place. Those are the people whose rights we need to protect. It starts by having these kinds of difficult conversations. I’ve shared my story. I’ve said my piece. It’s your turn.